The last time we saw the actress in a suit, we weren’t too impressed with how the fabric held up, but there were no such issues on this occasion. 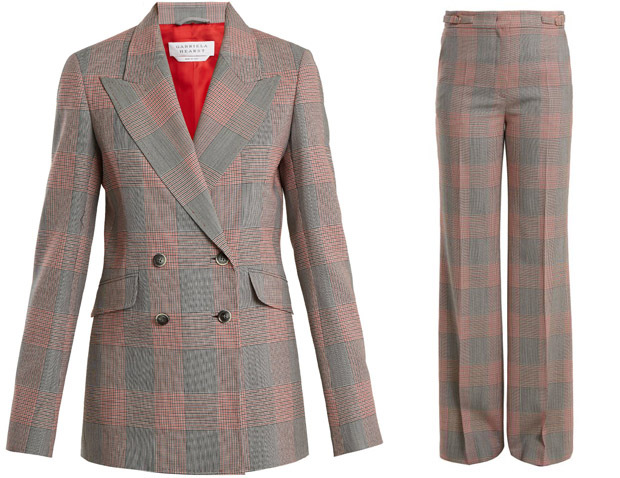 Her Gabriela Hearst Resort 2018 double-breasted suit effortlessly infuses androgynous tailoring with a contemporary edge. The temperatures were a lot cooler in the capital today following an intense heatwave, but opting to go sans blouse was still the right choice.